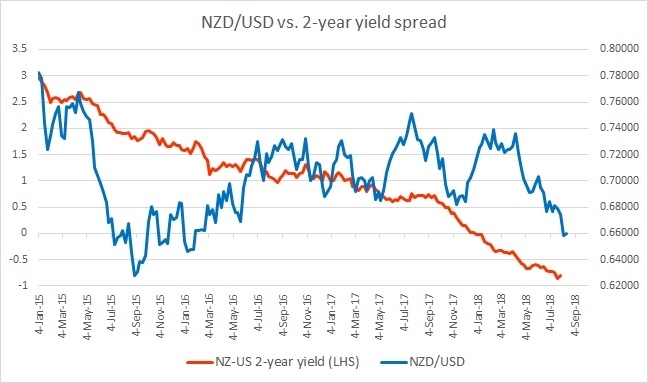 In July, the spread has further widened by 7 bps to -74 bps and the NZD/USD responded by declining 200 pips to 0.677 area against the USD. The spread has further widened to 90 bps points and the New Zealand dollar has responded by declining sharply to 0.66 against the USD. Further decline is likely as the divergence is still quite large.